As part of the new YFL-300 series intermediate range the YFL-312 takes the place of the old YFL-311. Well regarded as an excellent first upgrade model the 300 series has some new features that build on the classic models. 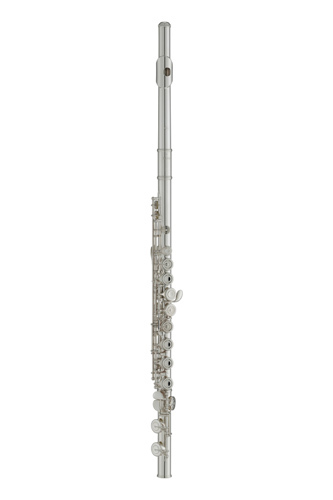 This YFL-312 features a precious silver headjoint for a rich, powerful sound compared to nickel silver. It has a closed hole key mechanism so as to feel comfortable for the first upgrader and easy to use. 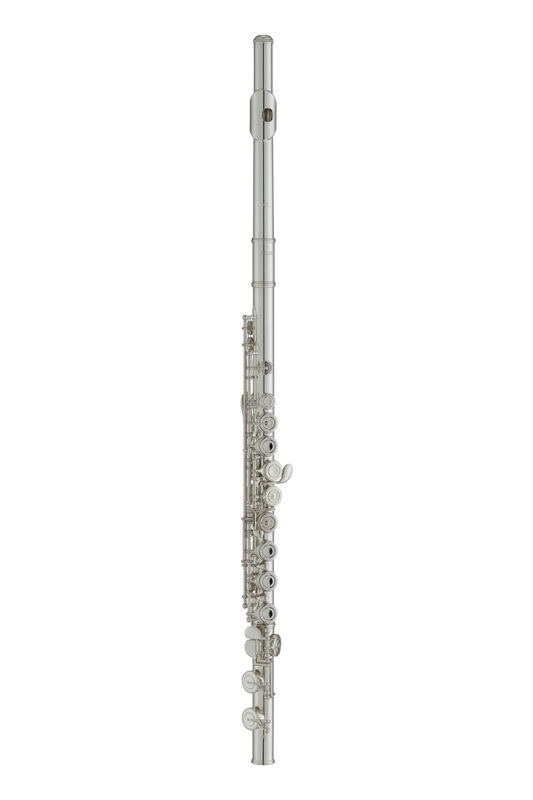 This level of flute is very popular with Grade 4/5+ upgraders or adults wanting a good sounding silver head flute with excellent mechanics. Pointed Key Arms: Otherwise known as 'French' pointed key arms the new YFL-312 now features the same key mechanism design as some of the more expensive Yamaha models. The addition of the pointed key arm makes these keys more sturdy and even in how the pad underneath closes. This means the flute can play more easily and that pad wear is more evenly spread and reduced. New Pad Cup Shaping: After much research and testing Yamaha have applied new shaping to the pad cup touchpieces, ie where you rest your fingers on the keys. The new shaping feels more comfortable and natural under the fingers. New Optimised Pads: The quality of all the materials on these flutes is exceptional and now even the pads have been optimised to give longer life and a more even seal over the toneholes making the flute super efficient and easy to play. Good quality instrument at a competitive price.